How Many Books Can You Write In A Lifetime? I’m not quite sure how it happened, but these days I’m overwhelmed with the reality that I’ve been juggling six different writing projects, including four novels and two novellas, for some time. Actually, one of them I haven’t worked on at all this year, but that needs to change. There are different ways to look at this. One is that I’m a professional writer. I write, publish, and sell novels, and am paid through royalties and direct sales. For me, working on more than one book at a time is how I continue to be a professional. The other upside is that pretty much all of 2016 was spent writing new work, which isn’t something I can say every year. In hindsight, it was a pretty awesome experience. But the downside? Well, given that I also have a 5-day-a-week part-time admin job, a mother with dementia who needs more attention, and a 2,500 sq. ft. home that requires cleaning now and then, it all becomes a bit much at times. On these short, dark, damp winter days, I feel my energy and my spirits wane, especially after one of my regular bouts of interrupted sleep. After weighing the pros and cons, it comes down to two things: I still love writing, and I can choose to stop anytime. I created this life. I can also dismantle it. These are my choices, and on those overwhelming days I find myself wondering about the latter. It was invigorating, therefore, to come across a blog this week on Quartz Media, about how Isaac Asimov, author of nearly 500 books, wrote so much, and yet struggled with some of the same issues that plague me. It was good to know that I’ve already been using some of his strategies, like working on several works in progress. The piece of advice that resonates with me most is Beware the Resistance (part of this means being paralyzed by persistent insecurities about one’s writing). For me, editing a book to a satisfactory, publishable state is challenging. Maybe I should adopt one of Asimov’s other strategies, which is to not strive for perfectionism. In Asimov’s world, taking on six writing projects is normal and necessary. So, maybe I’m on the right track after all. I just have to keep figuring out ways to play down the negative self-talk and stay focused on completing some of these projects. This year, the plan is to publish two books. We’ll see how it goes. 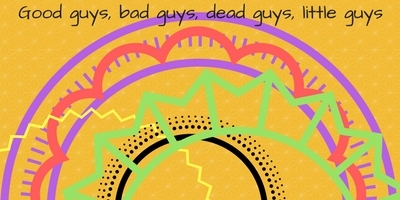 At the critique group meeting the other day, we were talking about story arcs. 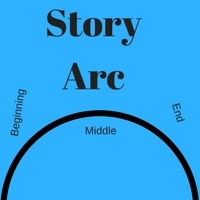 In case you haven't heard of them, they're pretty much what they sound like: the arcs of stories. Not very helpful. Better ones break that up into sections, like First major conflict, Decision to act, Frustration of hopes, Change in direction, and so on. That can be helpful, although I find it more helpful in shaping the story after I've written the first messy blob of it. Most stories aren't really like that, though. Most stories are more like this. Yes, here I go again. Although the story, itself, has an arc, each character in the story has a story arc. Connie Willis is a mistress of this. Mom and I just finished reading the Black Out / All Clear set, and it illustrates the point perfectly. Each character has a goal, then a revised goal, then another revised goal, constantly changing as circumstances change, plans are frustrated, and/or understanding of the situation alters. EACH ONE has a different story arc. Sometimes their arcs intersect; sometimes they run parallel, in cooperation or opposition. "There are all sorts of things going on behind the scenes," one of them says, speaking of people they can't directly interact with who are aware of their difficulties and are doing everything they can to send help. Those people have story arcs. The reader may not be privy to them, but they have arcs, and they need to make sense. As the book(s) progress(es), the arcs interweave until THE END, when it's clear that all that mish-mash was one big story arc, after all. All those arcs could also represent the main plot, the secondary plot, the minor plot, the running gag, some of which may belong to the main character, some may belong to secondary or minor characters, some may belong to an animal. You know what I'm talking about: On any given episode of Boston Legal, for instance, there were always two trials going, each with its own story arc, usually at least one relationship story, and one or two running gags that had some kind of closure by the end of the episode, as well as a piece of at least one arc that continued over several episodes. But how do you track that, when you're writing? yWriter5 has a character timelines function, like index cards, but index cards work just fine. I love index cards, me. You can write each character in a different color, or get different colors of index cards, or just put a distinctive mark on the corner for each character. Write out the elements of that character's arc on cards (one for A meets Q, one for A gets job at L's firm, one for A overhears L and B discuss murder). 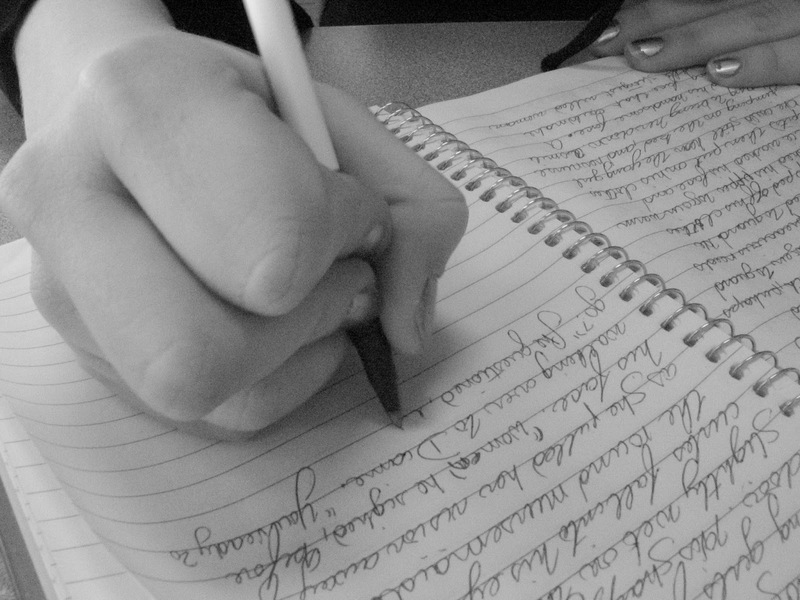 Write out the elements of each character's arc. Then you can arrange them in the context of the overall story arc, to see where it makes sense for each element to take place in relation to everybody else's elements. Word to the wise: vacuum the floor first; you're gonna needa lotta room, for the cards and for dancing in frustration as you work it all out. Beneath the Bleak New Moon 2nd Edition Released! 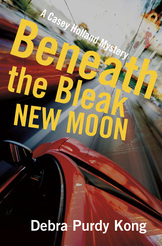 I’m happy to announce that my third Casey Holland mystery, Beneath the Bleak New Moon has finally been reissued in ebook format! I had plan to release this title back in November, but you know what they say about real life interfering with the best laid plans…However, after Christmas I caught up and am now working on the fourth installment, which should be released later this month. I also have a couple of local gift stores selling the paperback version, which you can find on the homepage of my website, or you can contact me if you wish a signed copy. But helping Danielle isn’t easy. She’s not only reckless but on a personal vendetta. When Danielle goes missing and a suspected racer is murdered, Casey is compelled to step up the search for answers. As I’ve written in the past, I’m not big on making New Year’s resolutions, but I do have goals. To me, a resolution and a goal aren’t quite the same thing. Resolutions involve one or two firm decisions to make a change or improvement no matter what. Goals are less stringent and don’t necessarily mean making a big change, but rather tweaking things here and there. In a way, it’s also an odd contradiction for me. Looking back on my year-in-review this time last year, my plan was to cut back for 2016, as I’d taken on too much in the two previous years. And I did cutback. I gave fewer workshops, which required a fair bit of prep time, and reduced the amount the number of blogs I wrote. Although I didn’t publish any new work this year, 2016 was still a year for goal achieving. I finally obtained my rights back to my Casey Holland novels and reissued five of six novels in multiple ebook platforms. This project is nearly complete, as I work on the last Casey novel now. I’ve also been working on five different writing projects: two novellas and three novels. One of them is a fantasy which has been new and interesting challenge. It’s something I’d put off for years, but started last January. Now, I’m almost finished the first draft. Despite the cutbacks on workshops, I still participated in 18 writing-related events this year; many of which were bookselling opportunities at a wide variety of locales. Have you ever sold books at a winery? It’s great fun. You get to drink, your customers drink, and everyone is friendly and chatty. While book sales chugged along, I also managed to read and review 47 books, and write about the same number of blogs. So, will I cutback a little more this year? Perhaps. I’m still doing my part-time day job and enjoying it. My mother’s dementia becomes an increasing challenge for our family, but that’s life. In 2017, I also hope to publish another Casey Holland mystery and one novella. If had to make a resolution for 2017, it would be to continue to do my best with whatever time, energy, and skill I have. We’ll see how it goes a year from now. Meanwhile, I wish all of you a creative, productive, and healthy new year!